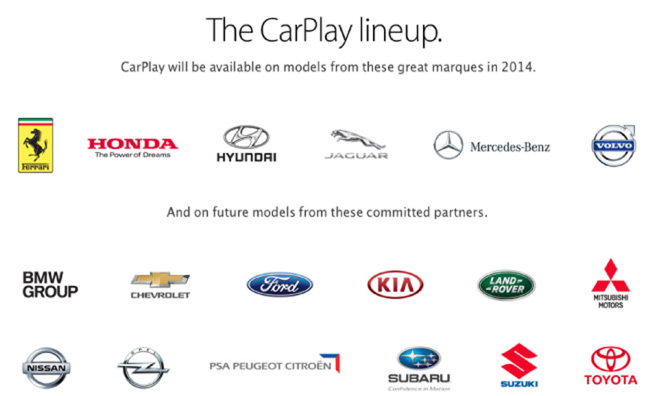 Silicon Valley carmaker Tesla is conspicuously absent from the consortium of automotive manufacturers that have pledged support for Apple's CarPlay initiative, an omission made more glaring— and puzzling— by recent news of high-level talks between the two companies. "Tesla is not commenting on Apple's CarPlay at this time," a spokesman for the electric car producer told AppleInsider late Wednesday. That policy of radio silence is somewhat odd for the marque, which has a history of speaking candidly about its future. Barrels of digital ink have been spilled pontificating the virtues of a hypothetical Apple-Tesla tie-up. Visionary Tesla CEO Elon Musk could put Apple's virtually bottomless pockets to good use, it's thought, while the iPhone maker could learn a thing or two from Tesla's rocketeering engineer-turned-executive. The virtual printing presses began churning even faster in the wake of reports that Musk met in secret with Apple mergers and acquisitions chief Adrian Perica last spring. 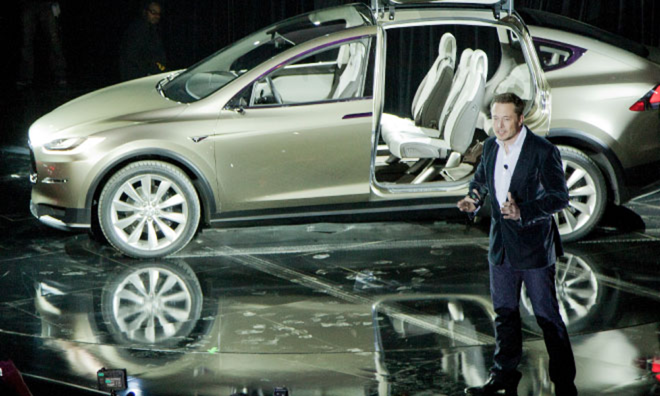 Musk later confirmed the talks, but called a sale "very unlikely." Many investors and commentators now seem to accept as gospel the idea that it is only a matter of time before some type of deal is announced, with a collaboration on battery technology pegged as the most likely joint venture. Tesla plans to construct what Musk has described as a "gigafactory" for the manufacture of lithium-ion batteries, crucial components for both companies. Apple, for its part, looks to be headed full-steam toward a showdown with Google in the automotive space. Apple CEO Tim Cook called CarPlay "very, very important" and a "key focus" even before Google unveiled its own bid to bring Android to in-car systems with the Open Automotive Alliance, which incidentally counts many of Apple's CarPlay partners as members. Why, then, are the supposedly-synergistic Apple and Tesla not cooperating in the most obvious arena? Tesla may have landed in the Google camp, given Musk's recent revelation that he would like to see Google's Chrome browser and an Android application emulator ported to Tesla's custom in-car operating system. Technical issues could also play a role, as embedded software vendor QNX— thought to provide middleware for CarPlay —doesn't have a position in Tesla's software stack. This possibility is bolstered somewhat by the fact that other high-profile marques like Fiat, which has partnered with Microsoft rather than QNX, are also absent. Or, it could be that despite all the smoke surrounding the potential partnership, there is simply no fire.